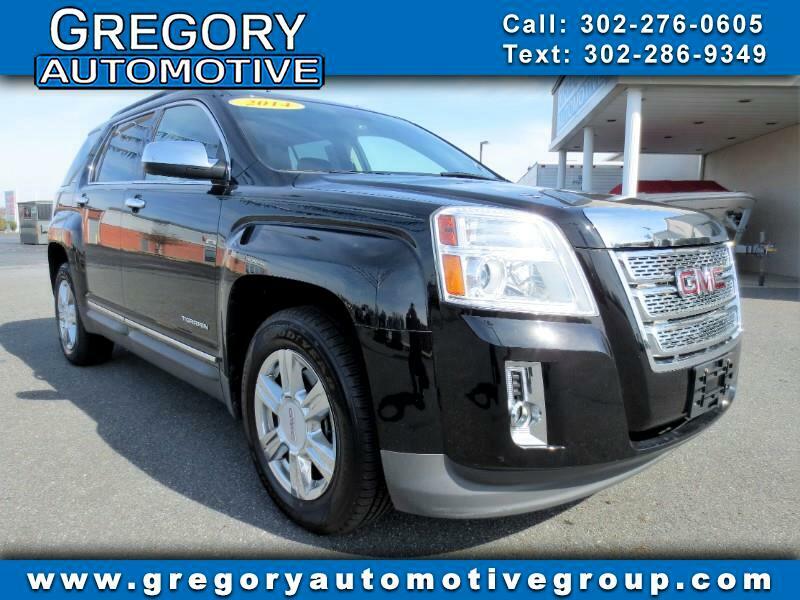 Used 2014 GMC Terrain AWD 4dr SLE w/SLE-2 for Sale in New Castle DE 19720 Gregory Automotive Group Inc. This beautiful 2014 GMC Terrain SLE 2 was previously owned by a non smoker. The battery is in excellent condition. The brakes are in great condition. The transmission shifts very smoothly. This vehicle has no previous collision damage. The engine is functioning properly and has no issues. The exterior was well maintained and is extra clean. The interior was well maintained and is extra clean. This vehicle comes with a new set of tires. No dings are visible on this vehicle. The paint is in great shape and condition. The front windshield is in excellent condition. All Cars are DE State Inspected, Serviced, Safety Checked, CarFax and AutoCheck Certified. Please Feel Free To Ask To See A Copy. You can apply right on our website for Financing. Call us at 302-276-0605 with any questions or to schedule a test drive. Buyer subject to credit approval and must meet minimum requirements. Gregory Automotive Group Inc. is family owned and operated. Established in 2006 in Wilmington Delaware, we are now located directly in front of the New Castle Farmers Market on RT 13 North.